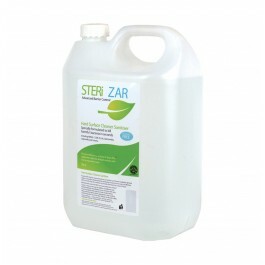 Application Simply spray on to the surface to be cleaned, wipe and spread evenly. Once STERIZAR has been applied to the surface it remains 100% effective for 30 days, continuing to offer proven protection against bacteria. Regular cleaning with other products will not reduce its effectiveness thanks to its Advanced Barrier Control.